Our facilities offer a variety of services including metal laser cutting and aluminum processing. We have the capability to process all sheet metal and our laser is capable of cutting tubing, I-beam, and angle. With the technology of fiber lasers, we are able to produce precise parts in a faster time frame and with tables 60’ long, we are capable of running multiple plates as a lights-out operation. This allows for a reduction in overhead, keeping our prices low. 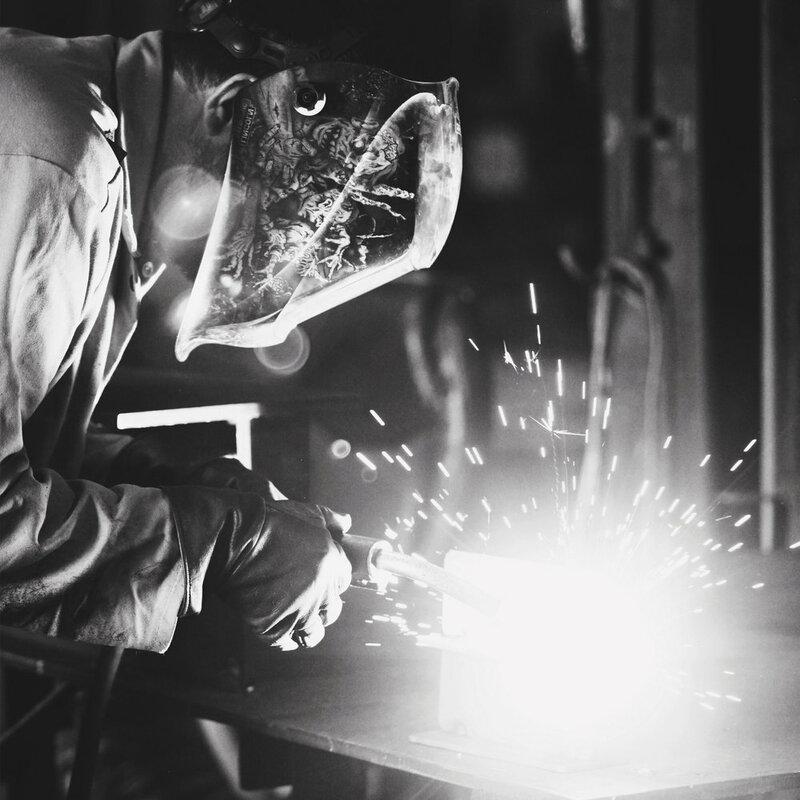 Our AWS-certified welders work on multiple platforms such as MIG, TIG, and Stick Welding. Our carbon steel is typically welded using flux-cored wire, but hard wire is available as well. We can also customize jobs based on your needs and requirements. Material and wire certifications can be provided upon request. We have a Lincoln Submerged Arc Welder, which is a semi-automated arc welder that runs on an 18-foot track and can be adjusted to run 12 inches to 7 feet off the ground.